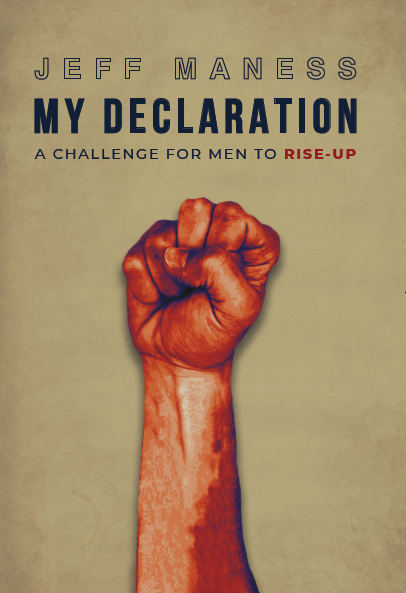 “My Declaration” has officially released. You can make your purchase HERE in my store, HERE on Amazon, or pick up your copy at the Element Church store on Sundays. Book Description: Today, our world is in desperate need of men! Not men in quantity, but men in Godly character. 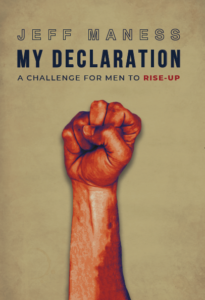 “My Declaration” is written as a challenge for men to rise-up and live in that character through their God given purpose and potential in this life. As King David said to Solomon, to “Take courage and be a man.” When we do that, everyone around us benefits. Something was started within us as men when we were born. Something was placed in us by God Himself that lies dormant and ready to rise. Through this book you will be challenged to rise-up with a bold faith and finish what was started in you by being aggressive at purity, taking responsibility, honoring God financially, leading courageously, and leaving a legacy. Those things are already at the core of every man, we just need to rise-up and live them out as men. This is My Declaration! It can be yours as well. While this book is directed towards men, it will speak to the hearts of both men and women, young and old alike. Download a free sample of the Introduction of the book HERE. Download a free sample chapter from the book called “Bold Faith” HERE. If you’re looking for the My Declaration Signature Documents you can find those HERE. I am proud to call Jeff my Brother. And, I am equally proud of this book and its possible impact in your life. I hope this book challenges you like never before. I hope this book disturbs you to act and do the work of being a man. I hope this book prompts you to get after all four areas of your life (God, relationships, profession, body). I hope you start to see that the King of Kings is calling you to expand like never before.